Rev. Fred Steinberg was born in San Diego, California and grew up in Escondido. Fred attended San Diego State University where he received his Bachelor of Arts degree in Psychology. After his graduation he attended Perkins School of Theology at Southern Methodist University in Dallas, TX where he received his Master of Divinity degree. 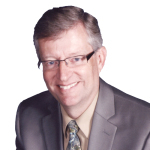 After graduating from Perkins in 1987, Fred served as Associate Pastor at Central UMC in Phoenix, AZ for two years. His primary responsibilities at Central included Evangelism and Youth Ministry. In 1989, Fred was appointed to serve at Velda Rose UMC in Mesa where his primary duties included Education and Youth. After serving as Associate Pastor at Velda Rose U.M.C. for eight years, Fred was appointed in 1997 as Senior Pastor of Gold Canyon UMC Since the building of the congregation’s first building in 1997, the church has grown to a worship attendance of 450 during the summer and about 1,800 during the winter visitor season. Fred and Beth Steinberg were married in 1982 and have one son, Tim, who is currently attending Arizona State University. Bob has been a United Methodist Minister for 54 years. After serving churches in southern California from 1964-1978, he was appointed as Senior Minister of St. Paul’s UMC in Tucson, Arizona in 1978. He served there for 11 years, during which time a sanctuary was constructed and a Memorial Garden completed. 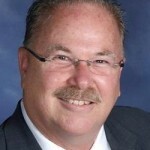 In 1989 he was appointed as Senior Minister at Velda Rose UMC in Mesa. Rev. Fred Steinberg was appointed there at the same time. He and Bob worked together for the next 8 years until Fred’s appointment as Senior Minister of Gold Canyon UMC. After 13 years at Velda Rose, Bob retired in 2002. In 2004 he became a part-time Associate Minister at Gold Canyon UMC, a position he continues to hold. 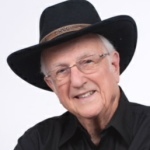 His primary responsibility is leading a country western service at 5 PM every Sunday from September through May. When needed, he preaches for the morning services and helps with hospital visitation and other pastoral concerns. 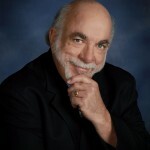 Bob is a graduate of California State College, Los Angeles and holds a Master of Theology degree from Claremont School of Theology, and is a recognized authority on grief and loss. His book, Life after Loss, has become a classic in the field since it was first published in 1988. The 6th edition was written in the aftermath of his wife’s death in 2016, and was published in 2017. Bob married Nancy Meise on February 10, 2018. She assists him with the country western service and grief support group. He has 3 grown children, 10 grandchildren and 13 great grandchildren. Fay Quanstrom has served two senior pastorates in llinois, as well as being visiting minister, Methodist Central Hall, London, England, and holding staff positions in Elburn and Big Rock, IL churches. She holds an M.A. in Old Testament and the D.Min. in Preaching from Northern Theological Seminary. She has also taught at the junior high, high school, and university levels and edited a preaching textbook. Dr. David W. Worley spent twenty five years in pastoral ministry in both Maine and Illinois while also completing his Bible and theological education. His ministry encompassed a wide range of experience including preaching, teaching, pastoral care, Christian education, music and weekly TV and radio broadcasts. In the early 1990s he returned to graduate school to earn his PhD and thereafter begin a fifteen year career as a university professor where he eventually became a department head. He is grateful for the opportunity to join the staff at GCUMC and to dedicate his time to congregational care. 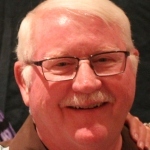 Doug came to Gold Canyon United Methodist Church with a forty year history in sacred music which began as an Organist and Choir Director at age 14, at churches in the Phoenix area. By age 25, he had added Bellmaster to his résumé. Doug became an Adjunct Professor of Music at Northern Arizona University, Flagstaff in 1989 where he founded the NAU Harter Memorial Handbell Program and directed the NAU Summer Music Camp handbell choirs through 2000. Doug’s musical accomplishments include organ performances throughout the Southwestern United States and Helsinki, Finland. He performed “Messiah” with the Phoenix Symphony and the ASU Symphony as organist. Doug has conducted Handbell Festival Massed Choirs throughout the country, guest conducted the Flagstaff Symphony Orchestra and the Arizona Masterworks Chorale. He has been a handbell clinician at local, national and international handbell events. Many of Doug’s handbell related articles have been published in Overtones, the official journal of the American Guild of English Handbell Ringers, including the first major research on Carpal Tunnel Syndrome and Handbell Ringing. As a composer and arranger, Doug composed and arranged music for handbells, organ, choir, brass and orchestra and is published by five major publishing houses. Most recently, he was commissioned by NAU to write the Processional and Prayer for the 30th Annual NAU Choral Holiday Dinners performed December 2004 in Flagstaff. Doug is an active member of several professional organizations, including the American Choral Directors Association (ACDA), the American Guild of English Handbell Ringers (AGEHR), the American Guild of Organists (AGO), and the Fellowship of United Methodists in Music and Worship Arts (FUMMWA). He served on the Board of Directors of the Arizona Masterworks Chorale and the Valley Choral Alliance and has held many offices in the Central Arizona Chapter of the AGO, including Sub-Dean, and served the AGEHR as Arizona State Chair and Chair of Area XI (AZ, CO, NM, UT, WY). In addition to many national committees, Doug served on the National Board of Directors of the AGEHR, most recently as Chair of the Director Education Department for the Guild. David was born in Marion, Indiana. His family moved to eastern PA, where David attended Millersville University and met his wife, Carol. David graduated with a Bachelor of Science degree in Electrical Engineering from Penn State University. David then worked for Bulova Technologies in Lancaster, PA and was transferred to the Phoenix area in 1997. He now works for Ricoh USA in Tempe as a Senior Billing Associate. After volunteering as a drummer for many months at Gold Canyon UMC, David became the leader of the Uncommon Grace Praise Team. He also directed the Children’s Choir, several children’s musicals, and Joyful Noise, a contemporary, women’s and teen choir. Since approximately 2004, David has served as Associate Director of Music, leading Uncommon Grace at the Praise Service and One in the Spirit at the 5:00 o’clock Country Western Service. David and Carol have two children and one grandchild. Before moving to the Southwest, Cynthia was a Vocal Performance student at Oberlin Conservatory. She received her Bachelor of Music degree in Vocal Performance from Grand Canyon University and holds a Master of Music in Vocal Performance Pedagogy at Arizona State University. Her performances include various roles in Lyric Opera and Musical Theatre. Among her repertoire, as the soprano soloist, is the Bach Magnificat, Rutter Requiem, Mozart Requiem, Vivaldi Gloria and the Mozart Coronation Mass. She has performed in prestigious choirs that have toured the United States and Europe with whom she has soloed in Carnegie Hall, and Notre Dame Cathedral. Cynthia has sung the National Anthem at Chase Ball Park, composed and recorded two original songs, as well as a full length CD of inspiring hymns. Recent awards include, First Place in the 2010 United Methodist Southwestern Regional Conference, “Got Talent” Contest and 2nd place National Winner in the American Mothers Association Vocal Competition in 2006. She has also performed sacred and patriotic concerts in various community events, including during a recent trip to the Ukraine. Cynthia is an active sacred soloist performing throughout the valley and beyond. She also sings soprano as a member of the Phoenix Symphony Chorus, and the Gold Canyon United Methodist Chancel Choir, where she is also the Assistant Director of Special Music. 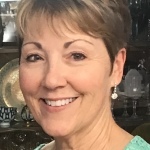 She is a member and currently on the board as past President for the Valley of the Sun Chapter of the National Association of Teachers of Singing, (NATS). Cynthia joined the Chandler Gilbert Community College Music Department as Adjunct Music Faculty in the spring of 2007 in addition to her private studio in Mesa. Cynthia’s students have been NATS Winners, Arizona Regional and All State Choir participants. Several of her students continue on with vocal pursuits at the college level and have performed leading roles in local community musical theatre. Katharine and her husband, Pastor Julius Keller, moved to Arizona 11 years ago to start a church in Gilbert. Julius is now serving as Senior Pastor in North Phoenix and Katharine is on staff at Gold Canyon UMC. Katharine has been serving as a Christian Education Director since 1988 in Presbyterian and Methodist congregations in Ohio. Currently her ministerial passion, besides adult and children’s education, includes hospitality and outreach within the church, as well as to the community. 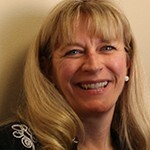 Katharine also serves as Chair of the Camp and Retreat Ministry of the Desert Southwest Conference. 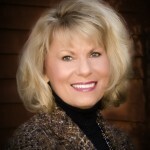 Her past leadership roles in Gilbert included Community Assistance with Gilbert Fire and the Gilbert Leadership Program. She loves to travel, hike and photograph and seek out adventure. She and Julius have six children and eleven grandchildren. Beth Steinberg, Director of Youth Ministries, was born in Gardner, Massachusetts and grew up as a preacher’s kid. She has a Bachelor’s degree in Psychology from San Diego State University. Fred and Beth have one adult son, Tim. 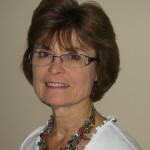 Beth has over 30 years of experience working with different youth groups as an adult volunteer. She was hired to work as the Youth Director at this church starting in April 2015. Beth and her husband, Fred believe that youth ministry is a priority. They work as a team co-leading the Sunday night youth program along with a great group of volunteers! Beth also facilitates the Sunday morning class for the youth.